If you’ve got good credit and you’re not using a rewards credit card, you’re missing out. In fact, even if you are using a rewards credit card, there’s a good chance you aren’t maximizing your potential rewards. Airline and travel credit cards often offer points and miles you never end up using. Cash back cards are great because the rewards they offer are something everyone wants: more money. However, not all cash back credit cards are the same. Different cards offer greater rewards for different spending habits, so it’s important to make sure you have one that’s a good fit for you. These are the best cash back credit cards on the market according to different spending habits. Discover It – Cashback Match and Chase Freedom both offer 5% cash back in a different category that you activate each quarter, on up to $1,500 in spending quarterly. Bonus categories have included gas stations, grocery stores, or Amazon.com and wholesale clubs. You’ll earn an unlimited 1% back on all other purchases automatically. Neither card has an annual fee. The difference between the two cards are two different bonus perks. The Chase Freedom offers a sign-up bonus of $150 if you spend $500 in the first three months. On the other hand, the Discover It – Cashback Match offers to match all of the cashback you earn at the end of your first year. This means that during your first year, you’re essentially earning 10% cashback on bonus categories and 2% cashback on all other purchases. Annual savings: Up to $510 with the Chase Freedom and $720 with the Discover It – Cashback Match in your first year, if you spend $1,000 per month and max out your bonus categories each quarter. This card is great for families or people who spend a lot of money at supermarkets and gas stations. Use this credit card for grocery shopping, and you’ll get a whopping 6% cash back at U.S. supermarkets on up to $6,000 a year in spending, and then 1% after that. It also offers 3% cash back at U.S. gas stations. Apart from an impressive cashback rate, the Blue Cash Preferred Card from American Express offers a sign-up bonus of $200 in statement credits after you spend $1,000 in the first 3 months. The annual fee on this card is $95. Annual savings: $644 in the first yearif you spend $1,000 per month, maxing out your grocery spending and spending $100 per month at gas stations. 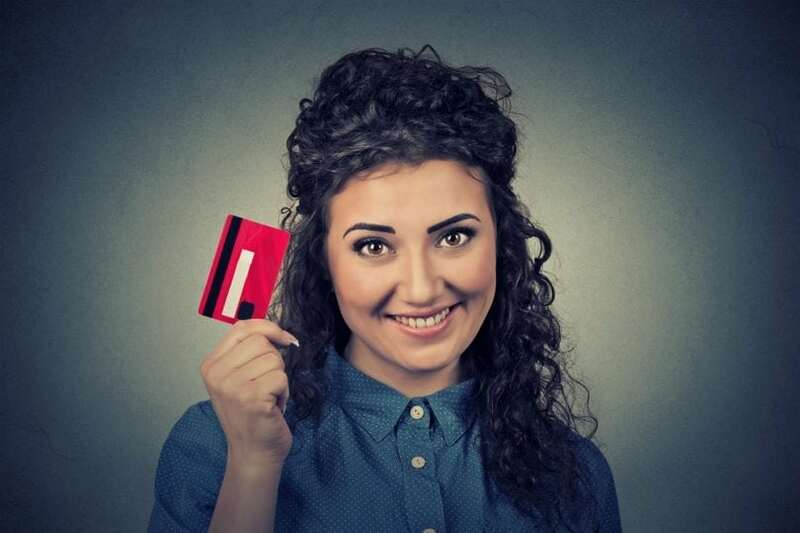 If you prefer not to have to worry about activating quarterly bonuses or wondering which card to use for which type of purchase, a flat-rate cash back card is the way to go. The Citi Double Cash Card offers a flat 2% cash back on all purchases. They split up their rewards, offering 1% back when you buy and another 1% back when you pay, so it’s great incentive to keep your bills paid off. The card also has an 18-month balance transfer offer at a 0% APR, so if you were looking for a balance transfer card to help you consolidate your debt, this is one of the few that has cash back rewards. Annual savings: $240 if you spend $1,000 per month. This card offers one of the best rewards rates for foodies and big families who eat out a lot. You’ll get an unlimited 3% cash back on all dining and an unlimited 2% cash back on all grocery store purchases. All other purchases get a 1% cash back rate. On top of that, you’ll also get a $150 sign-up bonus if you spend $500 in the first 3 months. There’s no annual fee on this card. Annual savings: $438 in the first year if you spend $400 per month on dining and $600 per month on groceries. If you’re looking for a cash back card, you probably don’t expect to earn travel points. While the Chase Freedom Unlimited does earn cash back, it can be converted to Ultimate Rewards points if you also own the Chase Sapphire Preferred or the Chase Sapphire Reserve. Each dollar you spend gets you an unlimited 1.5 points. You’l also get a $150 sign-up bonus for spending $500 in the first 3 months. Chase’s Ultimate Rewards points are worth roughly 2 cents each, so pairing this up with your other Chase card can actually get you a lot more value than going for the cash back. Plus, Chase’s Ultimate Rewards points are highly flexible and can be redeemed through their system for a variety of travel rewards, including flights, hotels, and rental cars. Annual savings: $510 in the first year if you spend $1,000 per month. Whether you run a full-blown company or run a business out of your home, you should consider getting a business credit card for those expenses. The Ink Business Cash Credit Card is a great option if you’re looking for cash back. This card gives you 5% cash back on up to $25,000 per year in spending on office supply stores, phone, internet, and cable TV services. Then, you’ll get 2% cash back on up to $25,000 spent at gas stations and restaurants and 1% cash back on everything else. There’s no annual fee, and you’ll get a $500 sign-up bonus for spending $3,000 in the first 3 months. Annual savings: $1,580 if you spend $1,000 per month on office supply stores and phone, internet, and cable services and $2,000 per month on dining and gas stations.